Since Drake dropped Views in April, he hasn't released any music videos for the album's tracks. On late Sunday night, Drake posted two photos on Instagram that appear to tease a visual project. In the first one, which features a shot of two women, the caption read, "PLEASE FORGIVE ME featuring music from the album Views COMING SOON." 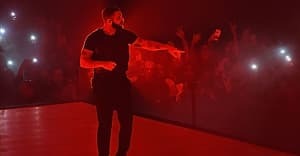 Drake's used that title in a graphic display during this summer's Summer Sixteen tour. For what it's worth, it was rumored that Drake was shooting a "One Dance" video in South Africa in June and a "Child's Play" video in Atlanta in July . Representatives for Drake were not immediately available for comment.